You are bound to make a powerful fashion statement with this arresting maroon colored lehenga choli. It has been designed using raw silk lehenga and decorated with sequins, jari, embroidered work. 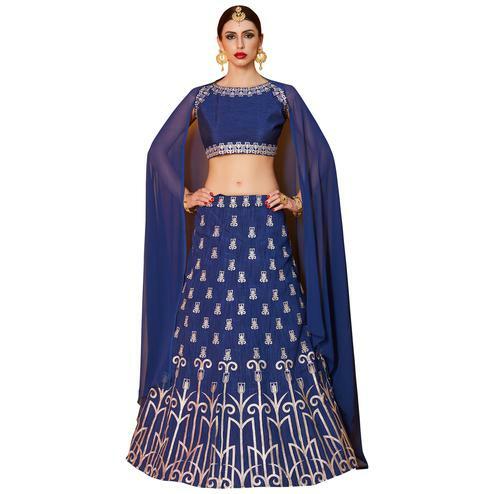 The outfit also comprises matching fabric choli having similar design, satin lining with can can net and netted dupatta enriched with rich border work. 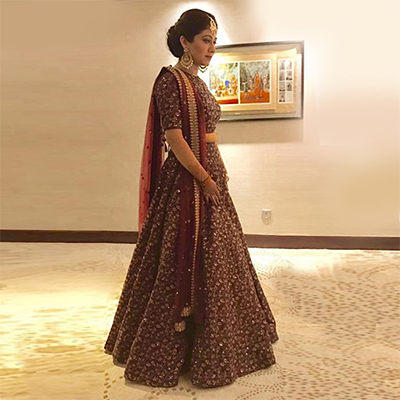 Specially designed to wear for weddings, engagement ceremonies and special occasions. Buy this ethnic outfit now.